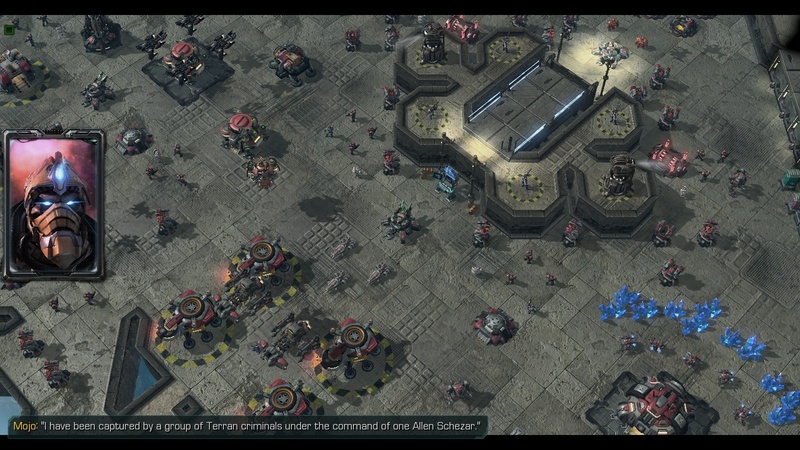 This is a remake map of Enslavers and Dark Vengeance campaign from Starcraft 1. 2. Paste mod file to 'Mods' folder in Starcraft 2 directory. 3. Test document maps or just simply drag them on starcraft 2.exe icon. This post is now abandoned and the newest version of enslavers remake will be posted on here. Just to follow up, when I checked this last year Opugg had just put up the new version in the link on his post. I went there, downloaded it and noticed some kind of significant problem (I don't remember what it was anymore). I commented about the problem so it could perhaps be fixed. Possibly in response? Opugg removed the map and it's now 404 not found. I thought maybe he'd fix the problem and repost the map but no dice. Opupu/Opugg haven't signed in in over a year now. My guess would be he has the newer maps in an almost-finished state but hasn't had the time to finish them, which is totally understandable. I bet somebody will pick up this project and in a year or two it'll be almost as polished as Starcraft: Mass Recall. I'm curious as well - the files haven't been updated since 2014 - did this campaign manage to work with SC II patch 3.0? Mission 4b has a devastating difficulty .. . Does anyone know if these work with the latest version of SC2? (other Mass Recall based campaigns seem to have had some trouble starting with Patch 3.0). Great job on the maps. I'm just curious as to why you used the Xil tileset on 5b for Braxis rather than the Kaldir tileset. This isn't a complaint, I'm just curious. Great job. Thanks. Interestingly the latest version of enslavers and dark vengeance is now marked '404 not found' since I commented on it. Not sure if that was opugg deliberately taking down the page or not since the briefings did seem bugged. Regardless, I'm interested in playing the latest version when it's ready. I'm the original author of this project and I had to create a new account because I couldn't recover the password. So please get the latest version from Here. This page is now abandoned. Is it possible to make this connect to the SC:MR launcher (for ease of use). The SC:MR does have a section for extras (which has the precursor/loomings campaign). Is this compatible with the Retro Mod as well? Just some minor changes. Removed currently unnecessary triggers. why is it updated again ?! Enslavers and dark vengeance maps are originally made without any recorded voices. As for texts, go options->gameplay and turn 'enable subtitles' option on. The map has been updated to the latest version. I see some features in dark vengeance map are not quite preferred. So I made it as an option. You'll see handicap option that you can check when the game starts. As long as the option is left unchecked (_It is unchecked by default_), opponents will no longer summon units with nydus canals, drop pods or fire nuclear missiles and the game's difficulty will be less intense. You can play it just like the original version from sc1. Also, you'll no longer see error text messages on top of the screen. I appreciate the effort to make these maps, but the enemy troop spawns in your base need to be turned off. For the first mission or two they're okay, and I managed to make it to the last map on normal difficulty, but 5a is unplayable. EMP all shields every 10 minutes, nuke your defenses every few minutes, AND ai spawns free units in your base? This doesn't feel like a fun challenge as much as it just feels frustratingly unfair and cheap. Again, the maps are nice and I thank you for your work. I would love to finish the campaign when changes are made to make it more of a fair challenge.